My sermon from 4th Sunday after Pentecost (July 2, 2017) on Romans 6:12-23. Listen to the recording at the bottom of the page or read my manuscript below. It’s Sunday, January 21, 1776 and a Lutheran pastor named Peter Muhlenberg is preparing himself for worship. Now, I imagine he did what most pastors do before service starts. He walked through the sanctuary, making sure everything was in order. He looked in the mirror, making sure his clergy uniform was on straight. And then as people arrived at his church in Woodstock, Virginia, I’m sure Peter greeted them and asked how they were. I wonder if the people he talked to noticed how Peter…was probably a little nervous. Or if they realized his clothes didn’t seem to hang on his body like they normally did. I wonder if any of them knew how different this Sunday would be. When worship started, the candles were lit. The words of confessions and forgiveness and the prayers of the day were said. And then Pastor Peter Muhlenberg started to read verses from the third chapter of Ecclesiastes. For everything there is a season, and a time for every matter under heaven: a time to be born, and a time to die… We know thethse verses because we hear them at funerals. So I imagine the people in Peter’s pews knew these verses too. But when Peter got to the end of the passage, saying a time for war and a time for peace, he stopped speaking. He looked out from his pulpit at the people in the pews and then, with a dramatic flourish, announced “and this is the time for war.” Peter removed his pastor’s uniform to reveal the military uniform of a colonel in Virginia’s militia. He left the pulpit, walked out the main church doors, and went off to fight in the American revolution. Now, that’s a pretty dramatic story, isn’t it? A Lutheran pastor gave up his calling in the most dramatic way possible to fight in the American revolution. 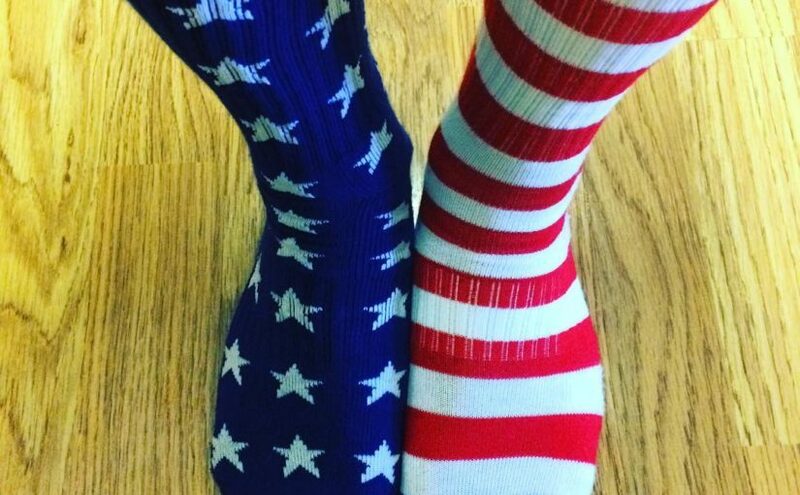 This is a great story for this kind of weekend, when we will spend time launching fireworks, singing patriotic songs, and wearing American flags on our socks. It’s also a great story because it shows how this son of a German immigrant, in a time when people like Ben Franklin considered Germans to be aliens, to be people unwilling to lose their native language and culture and become true “Americans,” – this story shows how Lutherans could, and would, embrace the war for independence. Peter Muhlenberg’s story is a fun story…and it’s probably just that – a story. We don’t hear about this event until a great-nephew, decades after Peter’s death, writes it down. Peter probably never dramatically left his church in the middle of worship but he did serve in the American revolution, retiring with the rank of Major General. He fought at Brandywine, Germantown, and Yorktown. And after the war he served in the very first Congress as a representative from Pennsylvania – and was there when another Lutheran Pastor turned politician, Peter’s younger brother Frederick, became the first Speaker of the House. If you look closely at our collective history, the founding generation of the United States is filled with Lutherans. Native-born Lutherans and immigrants served, fought, and died for the American revolution. But that concern about Lutherans and their commitment to the United States, took generations to finally disappear. As a faith tradition rooted in immigrant communities, Lutherans were suspect. The early stories about their commitment and service to the founding of this nation disappeared. Time and again, people wondered if Lutherans truly belonged. In the 20th century, when World War 1 broke out, Lutherans started putting American flags in their sanctuaries to show our collective commitment to the country we call home. And even as Lutherans served bravely and admirably in the American armed forces in World War 2, the Lutheran seminary in Columbia, South Carolina had to tear down buildings to prove their loyalty to their country. As Lutherans living in the 21st century, we might never have experience others questioning our loyalty to the United States. But we are, through our shared heritage, connected to a history where the Lutheran and American identity were not always seen as compatible. The flag in our sanctuary does more than just honor all who served bravely for their country or celebrate the founders of this nation like Peter Muhlenberg. The flag also connects us to the generations of Lutherans who felt they need to prove to others who they truly are. And that need to prove who we are…is right there, in our reading from Romans today. Two weeks ago, I shared how Paul was writing to a community that didn’t know him. They wanted to know what kind of Christ-follower he truly was. Last week, we heard how the Roman community struggled with their own identity. As a people who saw themselves as slaves to their passions – to lust and anger and the desires that caused them personal suffering – they looked to Jesus as a way to better their lives and fix who they were. By participating in the Jewish practices that Jesus did, the Romans thought they could break their cycle of bad behavior and become people God actually loved. The community embraced their identity as Romans trying to solve a Roman problem and saw Jesus and his Jewish rituals as a way to discover a new way of life. By following Jesus, their feelings of lust would end. By following Jesus, the world would treat them better. By trying this Jesus thing, they would become the best Romans they could possibly be. Following Jesus, they thought, would make them better at being the Romans they knew themselves to be. But Paul looks at this community and challenges them. They are not only Romans. They are not just Gentiles who happened to meet God. They are baptized. They know Christ. When the waters of baptism covered their heads, their old ways of looking at the world were buried. When they stood up, with that same water dripping off their faces, they entered a new reality. Even though they were still who they were before they were baptized, with the same bodies and hair and eyes and thoughts – they now were something more. Their old way of looking at the world, asking what God could give them to make them better Roman, is no longer their priority. They have new questions to ask. They have a new point of view to live into. This connection with Jesus is not about what we can get from God. Rather it’s about what God, through us, can give the world. Because, with just a few drops of water and God’s word of promise, we were changed. Even if we were just a child, a baby who couldn’t even walk, we were connected in a very public way with a Jesus who did more than just die for us. He also lives with us, right now, too. He helps us, through words of encouragement, through moments of insight, and through the he brings into our lives, to refine us into people who change the questions we are asking. Instead of asking how others can be like us, Jesus invites us to discover how we can give others the gifts of love and service. Instead of spending time asking about other people’s’ identity, Jesus helps us focus on what it means for us to be identified with Jesus Christ. As human beings, our old questions will never truly die. We will still struggle with concerns that focus on ourselves rather than others. We will still need our own version of flags in our sanctuaries to prove to others and ourselves that, no matter our race or sexuality or ethnicity or beliefs or gender that we, and even those who are different from us, still belong. We are still broken human beings. We are still people who don’t always get things right. Yet, in our baptism, Jesus invites us into something more. We have been given a new identity. We get to ask new and loving questions. And because of who Jesus is and what Jesus did, we are finally set free to be the true Christians God calls us to be.